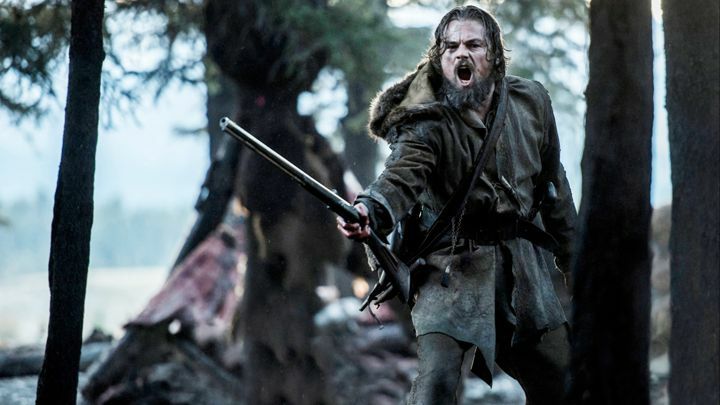 Opinions: What Does Leonardo DiCaprio Need To Do To Win An Oscar? Think about it. Just about every role in which you’ve ever seen Leo, he’s essentially played the same person – a young man who rises from some form of adversity to conquer whatever job/industry/environment in which he finds himself, only to fall from grace by the film’s end, and occasionally end up dead (or asleep, we can’t be entirely sure!) The list is laughable – Titanic, The Beach, Gangs of New York, Catch Me If You Can, The Aviator, The Departed, Blood Diamond, Shutter Island, Inception, J. Edgar, The Great Gatsby, The Wolf of Wall Street – they’re all essentially one consistent role. He’s the charismatic leading man, with some sort of haunted past or deep secret, seeking to dominate his chosen field. Sounds a lot like someone I (don’t) know. “But what about Revolutionary Road? What about Django Unchained?” I hear you asking, smugly. I’m sorry to say, but irrespective of the name or backstory of the character, Leonardo DiCaprio is still always playing ‘Leonardo DiCaprio.’ It’s in the intensity he brings to his roles. There’s never a full suspension of belief with Leo; somehow you always feel like you’re watching him playing the role, as opposed to getting lost in the world in which the character inhabits. His mannerisms, his voice, his inflections – their always the same; irrespective of the accent, I just hear ‘Leo.’ Maybe I’m being too harsh, or maybe he’s just too big of a Hollywood star, but I don’t think either are the case. I think it’s something far more human. Leo is too desperate. Like the guy on the dancefloor in a nightclub who approaches every girl (or guy, depending on the club) and gets nowhere as a result, so to does Leo approach his acting career. For at least the last ten years, Leo appears to have been obsessed with winning an Oscar; I’m not telling you anything new here – his failure to leave with a little gold statue has become the biggest joke in Hollywood. But I believe it is this desperation that has driven his choice of roles, and this has led to his lack of success at ‘Hollywood’s night of nights.’ Instead of selecting roles that really challenge him as an actor, take him out of his usual persona or heavens forbid, maybe even play a supporting role in a great ensemble once in awhile (I feel dirty even thinking about it), he has chosen the leading man shtick in an attempt to out-Leo himself, time after time. And I think the Academy agree. Leo doesn’t need to go (almost) full retard to win an Oscar; he didn’t actually even win for What’s Eating Gilbert Grape. He needs to prove that Leonardo DiCaprio is more than merely the role he was born to play. Maybe the Academy has it in for him, maybe they don’t like his face (although they’d probably be alone in that department), or maybe they just know that he can do so much better. Maybe their denial in granting him the one thing he truly desires is their way of teaching him, albeit pretty cruelly, that he needs to step it up a gear if he really wants to reach his full potential. Which brings me to The Revenant. 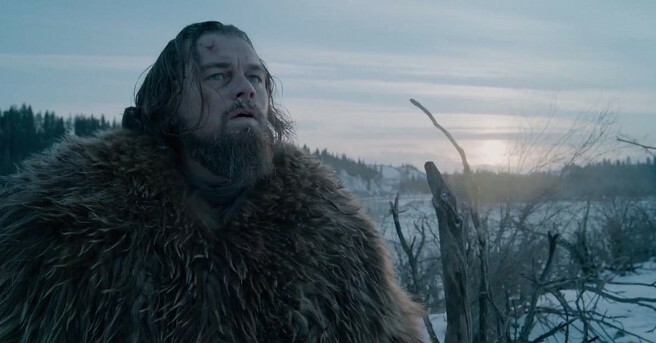 I must clarify, I haven’t actually seen The Revenant; all I’ve seen is the trailer. But I would award Leo a bloody Lifetime Achievement Award for that mere two and a half minutes of footage alone. Yes, he’s still going down the ‘leading man’ route; but something appears to be different in this performance. There appears to be a lack of the charisma we’ve come to expect from him, and instead, a greater immersion into his surroundings, into the context of the film. 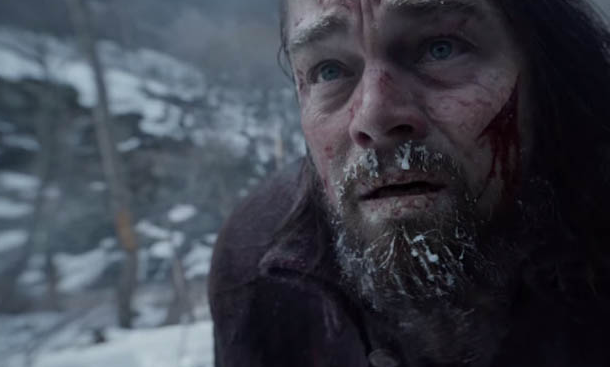 It’s not that he almost died several times making this film in sub-zero temperatures and grew a pretty hefty beard – plenty of actors have endured extreme conditions in dedication to their roles – it’s that he appears to be trying the least to win an Oscar with this film whilst simultaneously trying his hardest. He appears to be a man possessed, but not necessarily by his own self-interest; he seems somehow most comfortable in this discomfort. It’s not that he’s putting on an accent, and the length of his hair is irrelevant – it’s that he’s finally pushing himself way out of his comfort zone for a story that is worth telling. Leo might actually be acting again? Clearly this is the role that will determine whether he will ever win a Best Actor Academy Award; the bookies are already paying $1.30 for him to win even before the nominations have been announced, so it’s looking good. Will this be Leo’s year? Time will tell. But one thing is for sure – if Leo doesn’t win for The Revenant, then I think Shutter Island 2 might actually be based on Leo himself – the man, not the role. For more Opinions, click here. If you’re digging ReelGood, sign up to our mailing list for exclusive content, early reviews and chances to win big!